Hey guys last year I tried intermittent fasting as a way to cut fat and maintain lean muscle or even gain lean muscle while I burnt fat. I knew of 2 popular ways of fasting the lean gains method which requires one to have a daily fast for 16 hours and have an 8 hour eating window each day and the supper to supper fast which is a 24 hour fast not done daily. 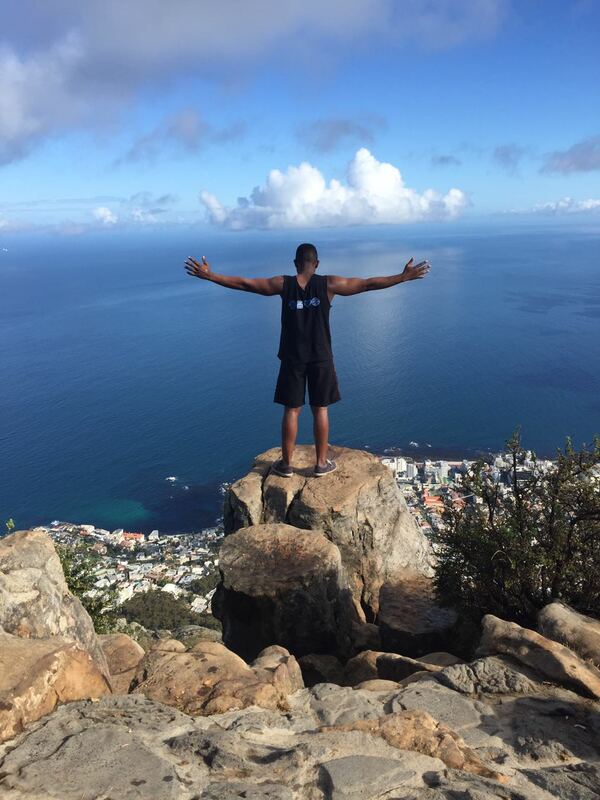 The first time I tried intermittent fasting I did the lean gains daily fast, but I did it with the goals of doing a lean bulk which meant even though I was fasting I made sure that within the 8 hour window I was still consuming enough calories to help me grow but I also wanted the benefit of my body going into fat burning mode caused by the fasting. The plan was to use fat as energy because of fasting while gaining muscle from the calories I consumed during the 8 hour feeding window and resistance training. My results were not too bad; you can read about my experiences the first time I tried intermittent fasting here. I feel that over time I started under eating because the longer I fasted the less I wanted to eat as much as I was eating before which made trying to lean bulk very difficult. I also feel I need to give fasting another go but this time with more discipline to make sure I get the full benefits of fasting. I saw this as an opportunity to try out Eat Stop Eat which is a book about the IF lifestyle. So this guy Brad Pilon used to work in the fitness industry for a supplement company until he decided to quit and dedicate his life to finding out the truth about weight loss which led him to discovering the benefits of intermittent fasting (which is not a knew thing). In his journey to debunk fitness myths he got a post graduate degree and acquired knowledge about weight loss and fasting backed by real research. One of the myths he found out about was the claim that if you fast you go into starvation mode and your body starts burning your muscles for energy, through studies he found out that short term fasting (24 hours like he recommends) did not cause muscle wasting but in fact caused the body to start using fat as energy in the fasted state. Basically most of the book Eat Stop Eat teaches you about all the false information you have been getting from the fitness and food industry, its educates you on some of the myths about weight loss and fasting by giving you facts acquired by university studies. It also gives you some possible reasons why you have been misled by the food and supplement industry for years. Eat Stop Eat is not a diet; it’s more of a lifestyle? 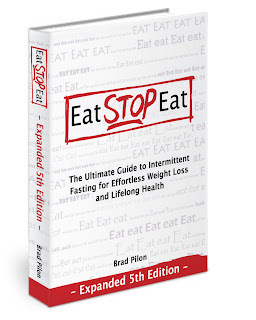 Like the lean gains method to intermittent fasting, the Eat Stop Eat Method is meant to make your life easier by giving you the benefits of a calorie restricted diet whilst giving you the choice to eat the way you want to thus making it easier for you to stick with intermittent fasting over the long run. Most “diets” fail not because they don’t work but because people find it difficult to stick to them because they require a complete lifestyle change and they are highly restricted in terms of calories and the type of foods people are allowed to consume. Brad Pilon recommends that you fast for one or two 24 hour periods in a week for the best results while training using resistance training for 3 days a week in order to maintain lean muscle mass while shredding fat. He also claims it’s possible to even gain lean muscle mass while on Eat Stop Eat which is what I am hoping to get while I chip away at my body fat. These are some of the health benefits of Eat Stop Eat and Brad has got studies and references to those studies to back his claims unlike many others in the fitness industry who use the words ‘research’ and ‘studies’ without actually sharing with us the studies they are talking about. Brad also has the ability to correctly interpret the information within those studies as he has formal education in nutrition (He went to graduate school to study Human Biology and Nutritional sciences). I will still be using the Arnold Type Split but I will only be training each body part once a week instead of twice during my trial period of Eat Stop Eat to account for the decreased overall calories and days of fasting when I will not be working out. I plan to add a day of body weight training so that my total days of working out each week equal to 4. The workout program above is what my weeks will generally look like, I may swap the fasting, workout and rest days around to better fit my life. Also on the rest days I will be working out abs. Below is a video of my current condition to see how I look now at the beginning so it will serve as a before video. The rest of my body looks fine but my stomach has a bloated look here and abs are not looking good so I am hoping the fasting helps with that. I will be posting progress updates in the next few weeks on how I am coping with Eat Stop Eat and the results I am getting so stay tuned to this blog.